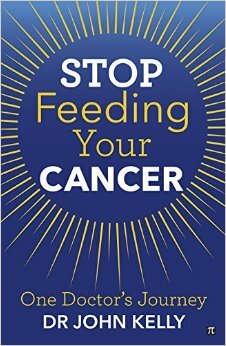 Stop Feeding Your Cancer | J. Morris Hicks, writer. speaker. big picture guy. ← 2015 Dietary Guidelines. Good News and Bad. I first learned of this important new book from Dr. T. Colin Campbell in late December 2014, immediately downloaded the Kindle version from Amazon and read it the next day. Why is this book so important? [Dr. T. Colin] Campbell’s careful experiments indicated one bald conclusion: that the favourite food of cancer cells happens to be animal protein; ergo, reduction or elimination of animal protein in the human diet stops cancer cell growth. If only our mainstream authorities would heed the game-changing scientific and clinical findings of T. Colin Campbell, PhD and John Kelly, MD in the two incredibly revealing books referenced here. Dr. Campbell provided the scientific foundation in the early nineties and presented his compelling findings in his best-selling 2005 book, The China Study. The most alarming information about cancer was that it was strongly associated with the consumption of animal protein. In the lab, Campbell was able to “turn cancer on and off,” simply by adjusting the level of animal protein in the diet up or down. Long before getting to know Campbell, Dr. Kelly read The China Study, and decided to test out the findings on his human patients in Ireland. The results were astounding. Almost every patient in many dozens of cases was able to basically starve their cancer—resulting in the slowing, arresting or reversal of this horrible disease. In 2014, he went public with their stories in his powerful book described here. His book, along with The China Study, appear on our Reading List in Chapter 27. You (and your doctor) should definitely read them both. From another book review. What Kelly has to say about the medical profession, dominated by consultants who rarely look beyond their own highly specialised areas, is telling. The Bottom Line. Sadly, it’s all about money, power, ego and control when it comes to mainstream medicine. But it’s time for that to change. I will close with Dr. Kelly’s humanitarian appeal for that change in this paragraph from Chapter 8 in his book. 2-6-14 Cancer. Heart disease. Global warming. Water scarcity. 6-11-13 What’s FOOD got to do with cancer? 5-1-13 Cancer. Too much hoopla. Not much help. 3-4-13 CANCER. The Suffering. The Expense. The Tragedy. This entry was posted in 4Leaf for Life, Activism & Leadership, Cancer. Bookmark the permalink. I, too, wish that life were that easy. I was a vegetarian and proceeded to being a vegan for 20 plus years along with a fulfilling fitness lifestyle that included swimming, running, biking, bench stepping, aerobics instructor, yoga, and weight training. Enjoyed my entire life…happily married for nearly 40 years and a strong faith, family and friends lifestyle. Then at 52 years of age, I developed breast cancer. No one believed this could happen, not even my docs who were my friends! Now, it has returned and I’ve been faithful to continue the steps I outlined above. What the heck? I see friends and family members eating everything and anything and they are very healthy at ages 60 and over. So I’m not so sure I’m on this bandwagon; sorry. Wish life were that easy. My husband just passed away from bladder cancer in early May of this year. He was a vegetarian for over 35 years, eating mostly fruits, veggies, grains, etc. Exercised daily with tennis or biking, was an avid reader, etc. No history of cancer in his family!!! He was a healthy 82 but cancer got the better of him. Our lives have a due date and sometimes we don’t know when that will come. I am hearbroken of course since we thought we would go quietly in our sleep at about 90! Thanks for all you do to raise awareness. We must not be the generation that destroys our children’s futures. me too Mary, although I haven’t written a book, that’s awesome. There’s more and more people getting on to do something to stop catastrophic climate change and that gives me hope, even if the prognosis continues to get worse. Also a big China Study fan. I was already vegan but it changed the way I think about these issues profoundly. So Morris what work confirmed the link in humans? Was it clinic trials, an understanding to the precise mechanism? something else? 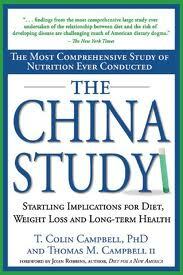 Already we have the epidemiological data from the China Study itself. Thanks for the link to Dr. Kelly’s book. I read the sample text online at Amazon and think that it will be very readable for people who might have trouble tackling “The China Study” (as wonderful as that book is). Looking forward to your new book as well. Keep up the good work! I share Dr. Kelly’s book with all my Food for Life class participants, and it is recently featured in my monthly newsletter. His case studies are inspiring; his passion and commitment mirrors yours, Jim. What I most admire about Dr. Kelly is his openness to new information and solid research. Far too many medical personnel are stuck in tunnel vision. Dr. Kelly read the China Study, was impressed, as we all were with the research, and he acted on it. I’ve gave one physician the book to read, and a year later learned it hadn’t been opened. Go figure! I plan on writing Dr. Kelly; want him to know how much he’s appreciated! He should also be invited on the Holistic Holiday at Sea. Hope all is well, Jim. Another good one Jim. Having read The China Study so many years ago this is not new news. But disseminating it to more people is a very worthwhile initiative – and Kelly’s book will be a great help. I wonder if the politicians involved in this year’s Dietary Guidelines for America have read it. It should be required reading for all legislators.